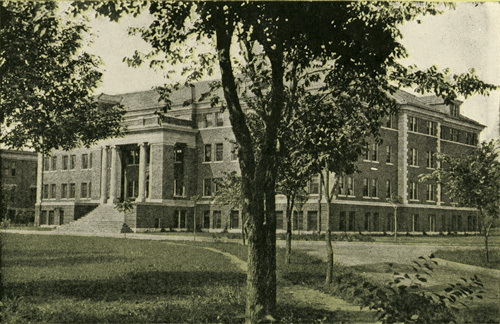 Lincoln Hall as taken in 1921 in “Glimpses of School Life at NNIS,” as compared to 2013. 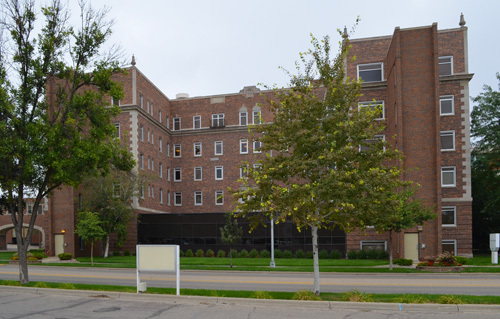 Avera St. Luke’s Hospital has grown and expanded many times in its history. 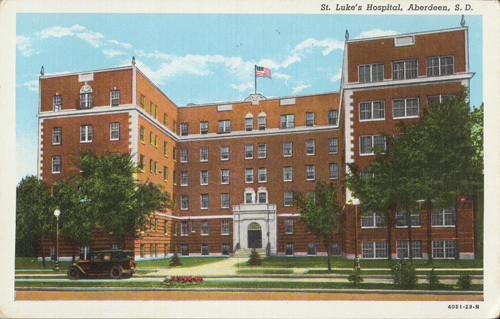 This postcard shows the old main entrance, which has since moved to a newer addition. 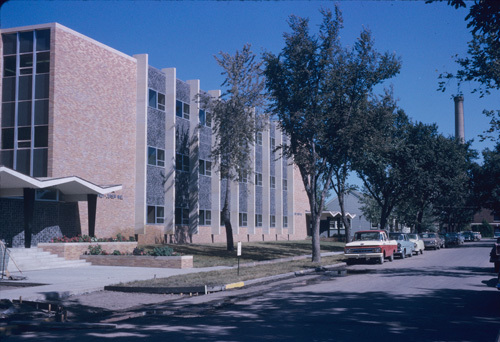 The Mewaldt-Jensen building on Northern State University campus, taken in 1963. 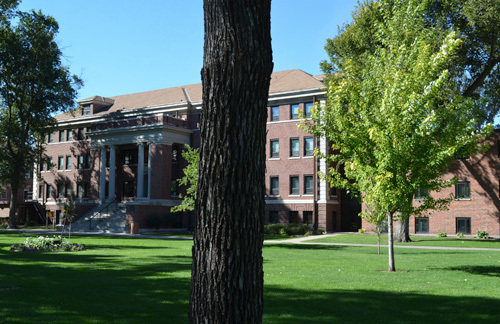 Little has changed on the south side of the building, as shown in the picture, but the north end was recently remodeled in 2006. 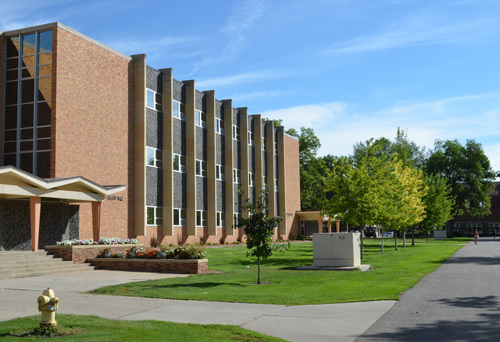 The street going through campus is now an access road. 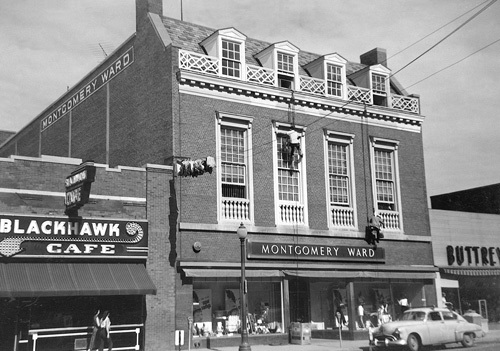 This photo shows little has been changed on the Montgomery Ward building. 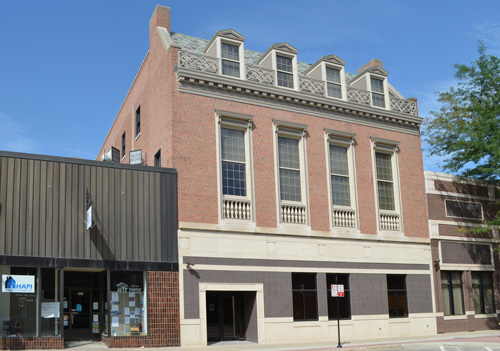 Now a part of Dacotah Bank.